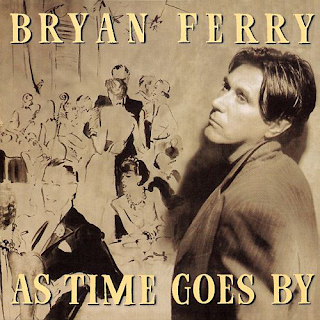 Bryan Ferry has always loved a cover or two - particularly Dylan songs, but also pre-WWII crooning classics like "Smoke Gets In Your Eyes" and "You Are My Sunshine". 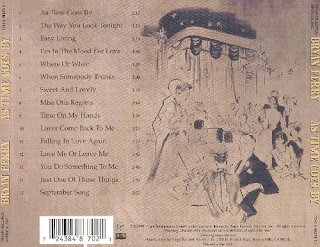 On this album he delves completely into that luxurious twenties/thirties era, an era of lavish hotels, grand dining rooms, beautiful ladies in elegant dresses and men in tuxedos, overnight cross-Europe steam train travel and so on. You would expect the album to be hugely orchestrated - full of strings played by a large orchestra. To a certain extent this sound is replicated, but not nearly as much as you may have expected. The band is a small combo, with some strings, but not the full Monty. A lot of the material has been given a smoky, jazzy soulful makeover that, while still retaining a lot of the music's original flavour and atmosphere gives it a jazz club-ish feel. All very intimate. Dinner for two by candlelight. Ferry's vocals are his usual - slightly quavering in his delivery with his instantly recognisable mellifluous warble. The whole sepia-tinged ambience that these songs deliver is entirely suited to Bryan Ferry, let's be honest. He has donned a tuxedo many times in the past, so this album is no surprise at all. In fact, the only surprise is why it took him so long to release it. Nobody does lounge lizard, smooth, suave, casual elegance like Bryan Ferry after all. Personal highlights are the gorgeously toe-tapping and sensual "The Way You Look Tonight"; the plaintive "Where Or When"; the tragic tale of "Miss Otis Regrets"; the lively lounge jazz of "Lover Come Back To Me"; the teutonic romance of "Falling In Love Again" and "You Do Something To Me". All of it is good, however - ideal evening dinner background music. Nobody can take any offence to this. It has a seductive appeal to it and is a most nostalgic listen.